At around 1pm today the listeners to BBC Radio Ulster’s programme ‘Talkback’ were graced by the special guest appearance of Hamish Pringle. 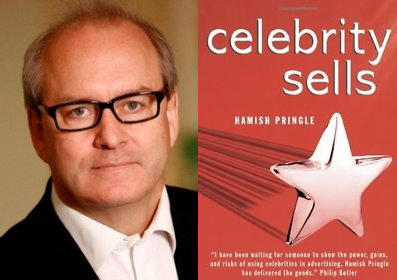 Hamish Pringle is the former Director General of The Institute of Practitioners in Advertising, an advertising legend, author of popular business book ‘Celebrity Sells’ and Father to the author of this humble blog. Following David Bowie’s “Scotland, stay with us” comment on last night’s Brit Awards, Pringle was invited on to the show to discuss the influence of celebrities on the outcomes of elections, public policy and referendum polls. When asked whether it will have any impact on Scottish voters, Pringle was sceptical, commenting: “Sir Alex Ferguson is a veteran and very public Labour Party supporter, but I am not sure Manchester United fans take any notice of that fact when they go to the polls”. Pringle went on to highlight that some celebrity endorsements seem to have the opposite effect, citing “The Curse of Eddie Izzard”: Izzard has publicly endorsed Britain joining the Euro, Ken Livingstone against Boris Johnson, Gordon Brown in 2010 and the ‘Yes’ vote in the 2011 AV Referendum, all of which have failed miserably. Fundraising; he pointed to the extraordinary funds raised by Oprah Winfrey for Barrack Obama. Amplifying a core idea; he referenced Sarah Silverman’s involvement in ‘The Great Schlep’ where she helped deliver an idea rather than being the idea herself. Sounds very sensible indeed. He must read this blog more than he lets on.